Yesterday I created a Netvibes site embedded with a range of RSS feeds, links, media and photographic galleries all dedicated to the archaeology of Pompeii and Herculaneum. I shared the site via Twitter with Peter Clements, creator of the excellent AD79 Destruction and Re-discovery and asked if he could recommend any additional sites for the Netvibes site. Peter suggested three valuable sites. The first is Herculaneum Panoramas, which features over 100 Quicktime VR movies of sites across Herculaneum including the Villa dei Papiri, the Theatre and countless others. It is brilliant. Students of Herculaneum can explore the site as virtual researchers and gain a feel of life in Herculaneum before the devastating Vesuvian eruption of AD79. Then there is The Friends of Herculaneum Society, emanating from the University of Oxford. 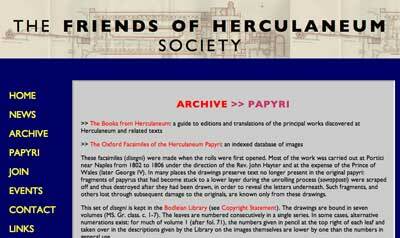 This rich web site allows you to view the Bodleian Library facsimiles of the Herculaneum Papyri and you can also read their newsletter, Herculaneum Archaeology. The aim of the society is to advance the education of the public concerning the World Heritage Site of Herculaneum and to create an archive of materials relating to Herculaneum and the work of the society. Thirdly, Peter suggested the Fasti home page, FastiOnline. This site is a database of archaeological excavations in the Mediterranean region since the year 2000. Users can access the database via a map based graphical user interface. 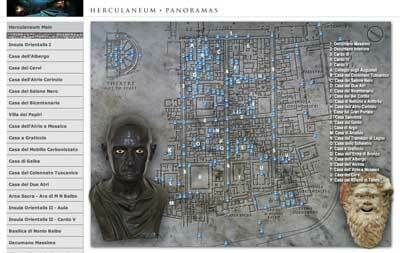 You can zoom into specific areas, Pompeii and Herculaneum for example, and gain information regarding specific excavations and the researchers involved. Once “inside” there is a variety of navigation methods that one can use to explore the data. The search engine is very useful and can allow students to quickly access specific sites. And of course, there is Peter’s web site itself. 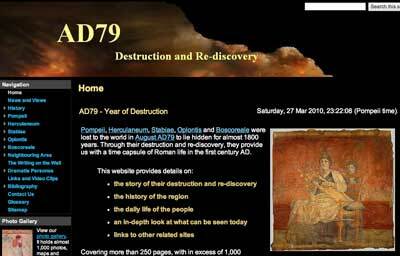 AD79 Destruction and Re-discovery is such an incredible web site. There are descriptions of the streets, houses, businesses and public buildings of the various ancient sites surrounding Mount Vesuvius. The descriptions are supported with photographs of the sites. 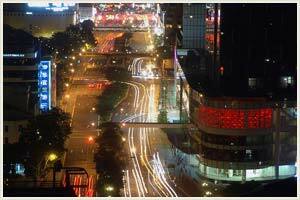 Rich hyperlinking within the web site allow users to explore the site and follow areas of particular interest. There are also pages dedicated to graffiti and significant personalities of the period. 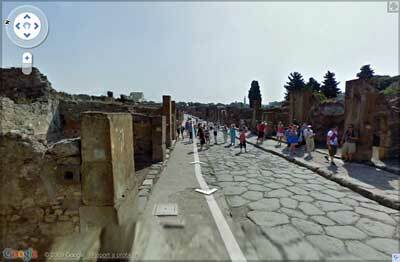 One of the most useful sections in Peter’s site is a page dedicated to specific Google Street View walks of the streets of Pompeii. This afternoon I set up a Netvibes site embedded with a range of RSS feeds, links, media and photographic galleries all dedicated to the archaeology of Pompeii and Herculaneum. I feel that teachers of the core unit in the NSW HSC Ancient History course, Cities of Vesuvius: Pompeii and Herculaneum, will find the feeds and media useful. There are a number of different feeds drawn from Flickr [RSS Feed], Google News [RSS Feed] and Google Blog Search [RSS Feed]. As well I embedded RSS feeds for a couple of Twitter lists focused on Pompeii and archaeology. I used Twitter Lists 2 RSS to create the RSS feeds for the Netvibes page. I think some of the highlights include a link to the brilliant AD79 Destruction and Re-discovery site created by Peter Clements and a set of guided Google Street View tours of Pompeii. 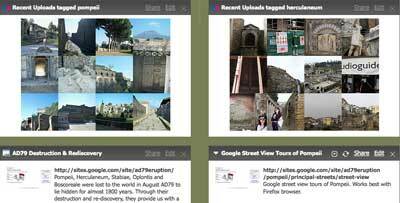 As well I have linked to the excellent Blogging Pompeii site authored by archaeologists in Pompeii and the surrounding area as well as their Twitter feed. PS. Kevin Lim over at theory.isthereasson has written an informative post on the advantages of Netvibes. I would no longer recommend Pageflakes as a visual RSS feed aggregator. The advertising is rather painful and in your face.